Marko said: "Artbridge consits of a bookstore and a cafe in its back part, so you can just come, take a book you like, browse through it without actually buying it. The workers in Artbridge speak perfect English (and probably perfect Russian as well, just like other Armenians). The bookstore itself is semi-posh but it's not extremely large. There are, however, a lot of foreign editions of books, together with many other things, such as wonderful calendars with Armenian motifs, etc. According to my calculations, the percentage of books in English is rather high. 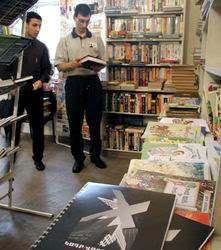 The bookstore is located in Abovyan Street, in the part of the street between Sayat Nova and Tuminian Street (they intersect somehow across the Abovyan Street and hence the name). Anyway, it's located in the very center of Yerevan so there is no way you can miss it." Eight years ago Shakeh Havan, an Iranian woman who grew up in the United States decided to come to Yerevan and open a restaurant/bookstore where many expats will meet (mostly because it was not possible to buty early morning coffee anywhere in Yerevan but in the hotels). Artbridge grew into 'the place to be' and now is a site where, besides the people from diaspora, young people congregate and browse through pages of a book while sipping coffee or nibbling on a muffin. Artbridge stocks both new and second hand books on general subjects but apart from books, souvenirs and handicraft work are on sale as well. The bookstore is accompanied by a lovely cafe/restaurant often praised fir its mixture of Armenian, European and North American cuisine and their famous breakfasts. Furthermore, in Artbridge you can get acquainted with the latest happenings in Yerevan and you can also but the tickets to upcoming events. 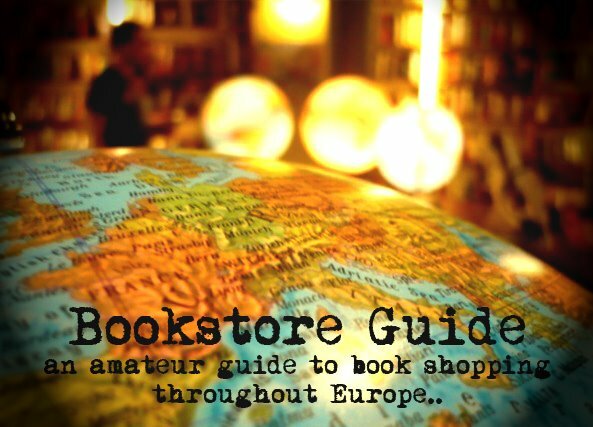 For the history of Artbridge Bookstore and Cafe, click HERE. thank you for artbridge appraisal. i worked there for a long time. it is really fascinating and the best bookstore in armenia. its owner is the best person i have ever known. thank you very much of talking about artbridge. i was one of the waiters there for many years and i love it. i love my clients and i am quite sure love me because many of them know quite well. it is really the best english language bookstore in armenia. and its owner- Shake- is the best personality i have ever known.